Bill Genetti, photo from 2012 Genetti family reunion at Genetti Best Western Inn & Suites in Hazelton, PA.
Hotels, restaurants and banquets have been Bill Genetti’s life since the age of 15 when he helped his father Gus during the 1950 construction of the original Genetti Hotel and Lodge along state Route 309 in Hazle Township. That was almost 65 years ago, and for those living in Northeastern Pennsylvania the name Genetti has been synonymous with hotels and banquets ever since. Now, at age 79, Bill Genetti has decided it’s time to take a step back and retire, turning over the catering and banquet facilities part of the business to his son, Patrick, and selling off the hotel portion to a private company. Bill Genetti’s life in hotel management has taken him around the world. In fact, his degree in hotel administration was earned from the Swiss Federal School of Hotel Art in Lucerne, Switzerland. But before he headed off to college, first at Penn State and later in Switzerland, Genetti had come up through the ranks of hotel and restaurant life, having worked as a busboy, dishwasher, desk clerk and dining room host. “There wasn’t any job that I didn’t do at the beginning, including handing lumber up to the construction workers who were building the original Genetti Hotel,” he said. In 1957, Genetti entered the U.S. Army and served for two years in Germany, working as a cook with the 67th Missile Battalion in Mannheim, Germany. “I was very fortunate to have served between World War II and the Korean conflict,” he said. The original Gus Genetti Hotel and Restaurant built in 1950. After returning home to Hazleton from the military, Genetti spent the next 10 years serving as general manager of his father’s hotel. That was until 1969, when he decided to take a position managing a hotel in Lancaster for two years and then two more years as a manager at the Philadephia Marriott until 1973, when he decided to return home once again when the opportunity to purchase the Genetti Hotel from his father arose. So, in 1974, now as the owner of the hotel, restaurant and banquet lodge, Genetti looked to expand the banquet facilities and to launch a new source of revenue, a dinner theater. At first, dinner theater performances were held several weekend during the summer in a tent erected in the parking lot. Then, once the new banquet halls were built, he converted the original lodge into a year-round playhouse. Bill and Patrice Genetti with comedian Phyllis Diller when she performed at the Genetti Playhouse facility. Many famous performers and musicians took the stage at the Genetti Playhouse, including Phyllis Diller, the Smothers Brothers, Al Martino and the stars of Lawrence Welk to name a few. But it was a lunch stop in 1960 for one celebrity that Genetti remembers best and says was one of the biggest events in Genetti history. Following a presidential campaign stop in downtown Hazleton in 1960, John F. Kennedy stopped at Genetti’s to eat lunch and rest for a while before moving on to his next engagment. “I remember our parking lot and the street leading up to Route 309 was just packed with people hoping to get a glimpse of JFK,” Genetti said. “My father got to meet him and shake his hand when he arrived and we were able to get photographs of that event that we still have today. Genetti said the busboy was one of two cleared by the U.S. Secret Service to be allowed into the suite where Kennedy ate his lunch and was resting. When the busboy went into the room to clear some dishes from lunch, Kennedy asked the boy if he would be done working for the day after the campaign entourage left. 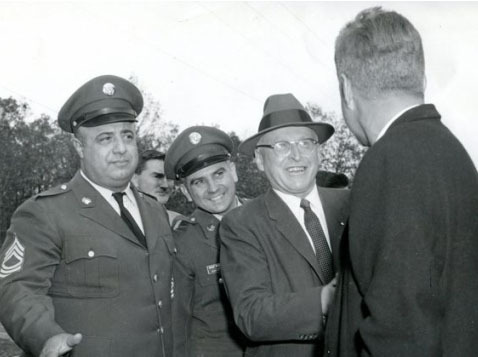 Gus Genetti (Bill’s father) shaking hands with John F. Kennedy during a campaign visit to Hazleton. “The boy told Kennedy that he would have to go home and change his shirt and then return, since he had to also work a banquet that evening. JFK asked the boy where he lived and he told him Freeland. Then Kennedy asked him how far away that was and the boy said about five or six miles,” Genetti said. Another historical event of much longer duration that Genetti recalled happened in the summer of 1969 when Paramount Pictures came to Greater Hazleton and the village of Eckley to film The Molly Maguires. Over a span of several months, cast and crew member stayed at the Genetti Hotel, and frequented the Genetti restaurant and bar. This included famous actors Sean Connery and Richard Harris, and actress Samantha Eggar, Genetti said. “Mr. Connery was a perfect gentleman. He stayed at our hotel for about a month until Paramount found a home they rented for him for the rest of the filming,” Genetti said. “He would always take the time to say hello and the one time I asked him if there was anything I could do for him, he said, ‘Yes, I would really like it if you could get me a kettle so I could make a spot of tea. '” Genetti said Connery had a hot plate in his room and wanted to be able to make himself tea from time to time. Genetti said that even though Connery acted as a gentleman at all times, it was Harris and Eggar who mingled with the people in the restaurant. And many locals visited the restaurant during that period in hopes of meeting the celebrities, Genetti said. During their stay, Genetti received a letter from two girls from Ohio who said they were “dying” to meet Harris. Genetti said he spoke with a producer and he arranged for Harris to meet them on set. “I wrote them and invited them to come to Hazleton and stay at our hotel as our guests and when they came I took them to the valley where they were filming and Harris threw his arms around them and they were ecstatic,” Genetti said. 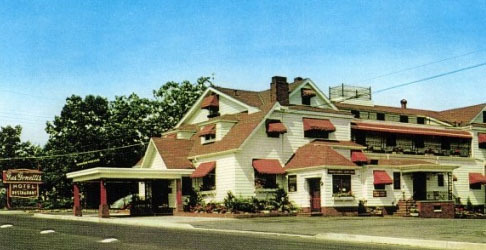 Many more celebrities have visited Genetti’s throughout the years, including former first lady Rosalynn Carter; Arthur Treacher; Jack Palance, who had a home in the valley and was a frequent visitor to the dinner theater; countless governors, U.S. senators and other politicians, and actor Pat O’Brien. While many of these historical events and visits by celebrities conjure up fond memories for Genetti, another event of historical proportion for the complex came on August 3, 1989, when fire struck and leveled the playhouse and restaurant. With his retirement here, Genetti will still be checking in and helping out his son, Patrick, who has plans of his own but is most focused on ensuring that the quality of service, food and other aspects of the operation maintain the high standards of excellence his father has established. Genetti has been very active in the community over the time span of his career. He served on the board of directors for United Way of Greater Hazleton, United Charities, Greater Hazleton Jaycees and Peoples’ First National Bank. 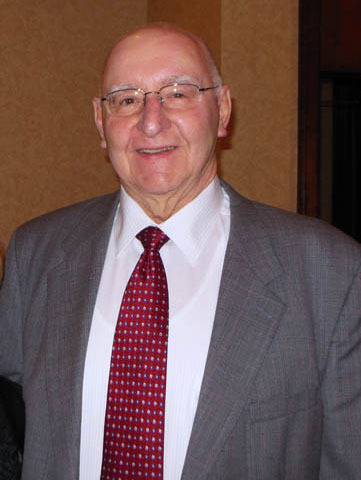 He was president of the Pennsylvania Hotel Association, chairman of the Pennsylvania Logo Sign Trust and chairman of the Pennsylvania Travel Council. He is still on the board of CAN DO, where he has served for the past 20 years. Genetti said he loves being a part of the community that has treated him so well over the years. 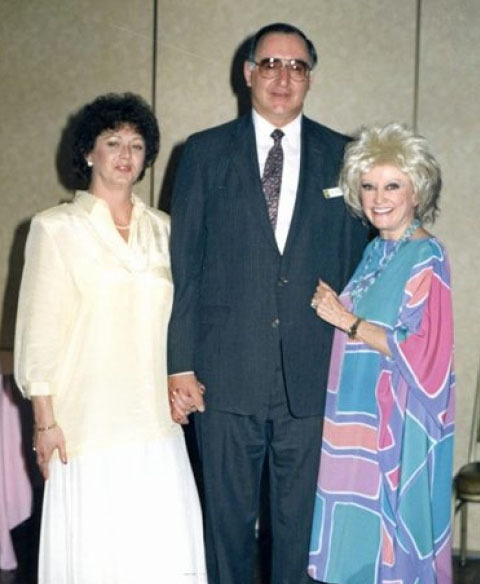 See the original article about Bill Genetti in the Standard-Speaker along with an Image Gallery that includes historical photos as Bill Genetti looks back on 65 years in the hotel and banquet business, click here. Genetti’s sale splits hotel, catering business, Standard-Speaker, February 18, 2015, click here. New owner to continue Genetti hotel traditions, Standard-Speaker, February 21, 2015, click here. Long Time Luzerne County Hotel Owner Retires, Eyewitness News, Nexstar Broadcasting (news video), click here.